"Since becoming a mother, my drive to provide for my son and myself is far stronger than ever anticipated." “I am proud and honored to say I have had many various accomplishments in life thus far; from being able to say I am a Veteran, to serving on the Oregon Board of Certified Advanced Estheticians." Currently living in Bend, Oregon, Kristi Russ is a hard-working and caring individual with quite a unique story. From the West Coast to the East Coast, then back again, Kristi has pursued health and wellness in ways that few others have and is enjoying it every step of the way. Kristi is currently the Spa Manager at Pronghorn Resort with 11 years’ worth of experience in the day spa, resort spa and medical spa industry, with licenses in California, Oregon and South Carolina. 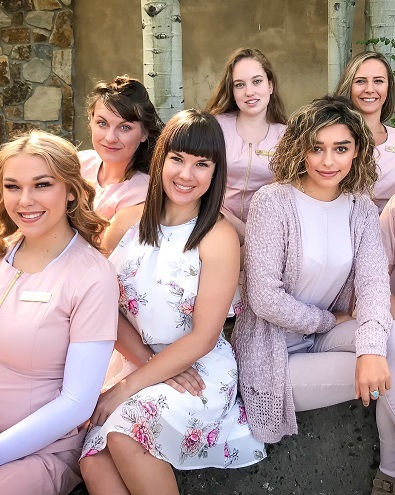 Prior to re-opening The Spa at Pronghorn, Kristi opened and ran a cosmetic laser training facility, which then brought her to her next endeavor of starting an esthetic school in Central Oregon. However, the “cherry on top” is her love and devotion to her four-year-old son, whom she makes time for above everything else in the world. Kristi stays active and disciplined in her post-military life, not only through activities with her son, but also through kickboxing at her local MMA gym at least twice a week. She cites this as an incredible form of stress relief and she contributes further to fitness by supporting others in their pursuit of athletics.